Most of us follow the beautiful game in one or many ways. Some play professionally, some play as a hobby or to keep fit, some watch, some analyse, some bet, some even have posters of their favourite stars in their houses in addition to a copy or original jerseys. However, many peeps don't know how to balance things and have had the worst experience with football. hence live a long life. 1. If you are watching a match in the midst of rival fans especially in viewing centres, don't talk too much, celebrate with caution, in fact, you can leave when the linesman shows the additional time board. Aftermatch beefs and fights can be avoided. 2. 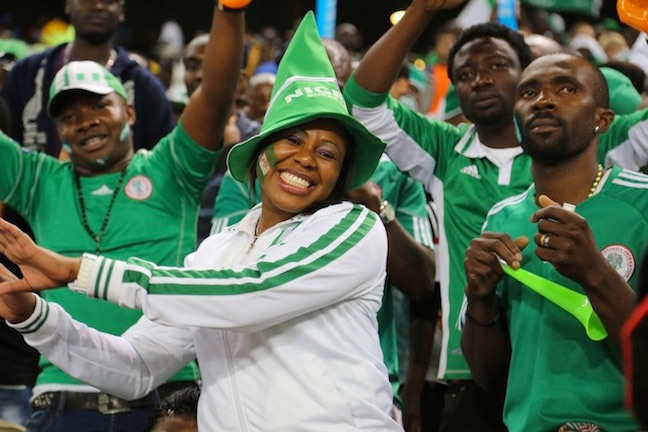 If you are watching the game at home with your partner or spouse who supports another team, be vigilant so that when you score or win you won't overdo the celebration or if you loose you won't take it too personal even if your partner gets unreasonably loud with the dissing. 3. Never argue technical football matters with a lady or even guy who is asking why Rooney is not in the match between France and Germany. Just smile and say, he is on the bench. It will save you lots of explanantion. This is not to diss any lady or that kinda guy but you all know wor we mean. People are also reading: The rise and rise of Nigeria's Kelechi Iheanacho. 4. Never argue with a man who keeps mentioning Ruud Gullit, Marco Van Basten, Stoichkov and the likes in his examples, it is clear that that guy is in touch with older schools. If you are a new school, try to keep your argument from year 2000 upwards. You will never win that old school, cos they always ask things like "when you begin watch ball sef"?.. 5. If your team is playing a crucial game that you are not sure they will win, please eat your lunch or dinner before the match. Some people are so fanatical, they loose apetite when their team looses such games. Sometimes, we dey wonder wetin dey do these kain people. Cristiano Ronaldo and how his success story will inspire you - Special dedication, how to maintain your brand and more..
6. You must not watch every match that is played evreytime. So don't overspeed cos you are trying to catch the match or forfeit important things like family times, prayers, studies etc. Sometimes, highlights even sweet pass the match cos all the yama yama have been filtered off and only the gben gben things will be shown. So its kinda more exciting, plus you know the result already, so just enjoy it all with rest of mind. 7. Don't take the matches too seriously even if you bet, remember it is not a do or die affair, it is for entertainment and recreation. Don't get into fights, yeye arguments and name callings just cos of a match that the players and coach don't even know you...enjoy urself and take one game at a time. 8. Try to read a hellokuwa post at least once a day either on facebook or @hellokubwa or @hellokubwa on instagram. You will encounter something that will make you smile somehow. The happier you are, the more likely healthier you will be and hence, longer life you will live by the grace of God. Life na jeje, not thorough fare, if you try to do many of these, chances are you will live long as a football fan.